Note: We have updated the Taobao information list and added new sources on how to use China’s largest online shopping sites locally. You will need a Chinese phone number, a credit card or PPS for foreign cards. Shipping mail address in China and email address. Which basically excludes foreigners outside of China to shop on Taobao, but if you happen to plan on living in China for study or work it’s worth the process to open an account. Taobao is the biggest consumer-to-consumer (C2C) e-commerce platform based in China. The Chinese online sites might look like a daunting process, but we’ve found some helpful sites with advice, tips and how-to’s to get you started. Take your time to read the shared information on the use of agents as go-in-between too and decide which route or process you prefer to follow to make your first purchase(s). You want to choose a trustworthy and experienced seller by looking at his profile with records of how many processed transactions and successful delivery. The same process as shopping on Ebay, counts for picking an agent as an outside buyer. Taobao Focus We help you buy all kinds of products offered at an incredibly low price from China’s biggest domestic online shopping website. YoYCart Connects individual sellers as well as small businesses from China factories. These are just two examples there are many more internet agents who provide e-shopping services. 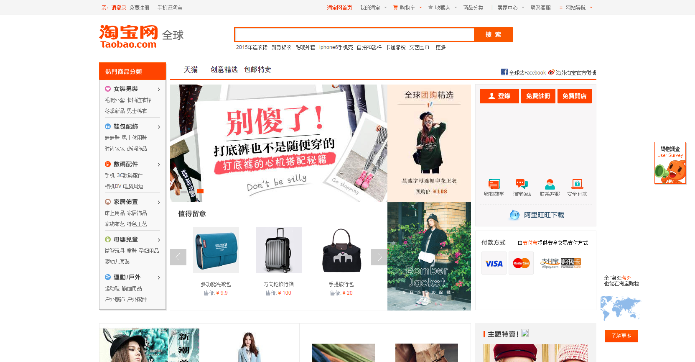 Update: Previously this blog post title had 6 Tips how to use Taobao shopping site in China. We added new information click on the provided links for tutorials and guides with step-by-step information. The Ultimate Taobao Guide for Foreigners | Hao Hao Report. Tutorial how-to-buy on Taobao Website seems no longer to be active.